Sunday My boyfriend and I took a little day trip to Ojai. We had talked about spending the weekend at the Ojai Valley Resort and Spa, but because I live an hour away from Ojai we decided do a little day trip instead. 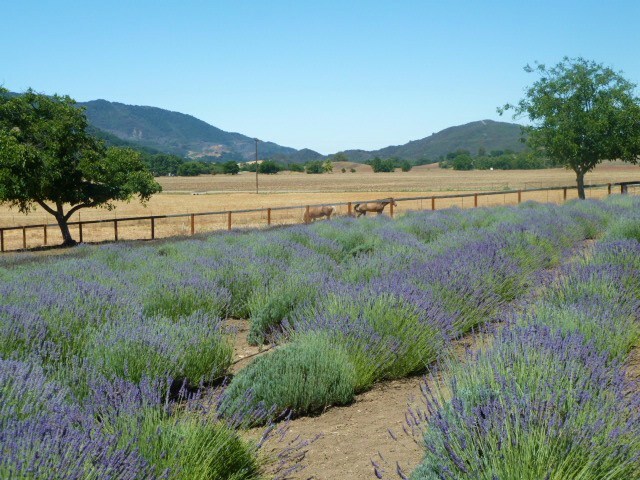 First stop was the New Oak Ranch in upper Ojai Valley to Pick Lavender. 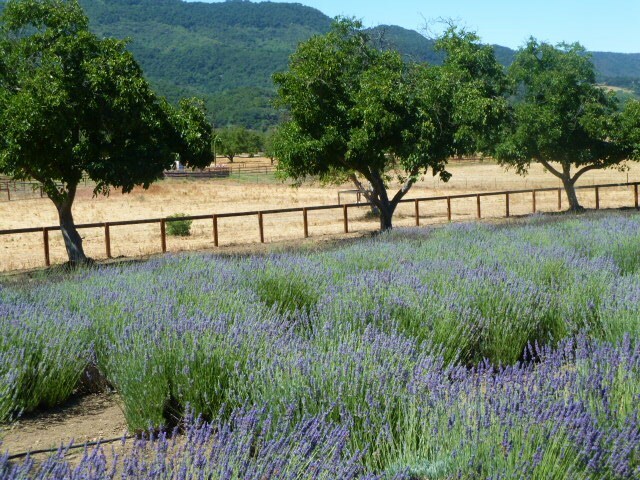 Who knew there were acres of lavender growing a few miles outside of downtown Ojai! 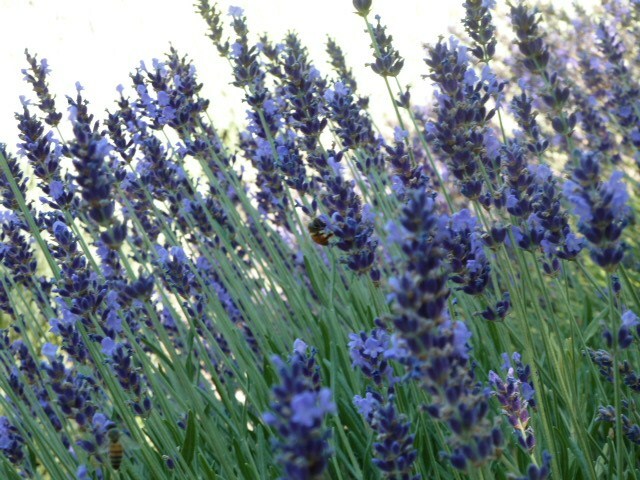 The lavender season is short. mid-June to the end of July- (weekends only). 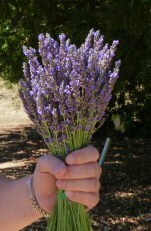 It costs $5.00 per bunch of lavender (that you cut yourself). They supply the cutting shears and twist ties. This is about as much as you can fit into the twist tie. Its a great deal! Take a deep breath of that…ahhhh! They have more than 5,000 lavender plants. 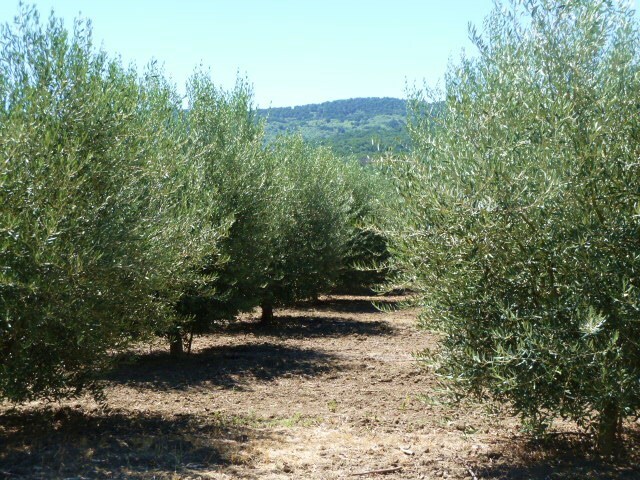 The ranch also has 1,400 Tuscan olive trees, which produces a olive oil that they are very proud of! 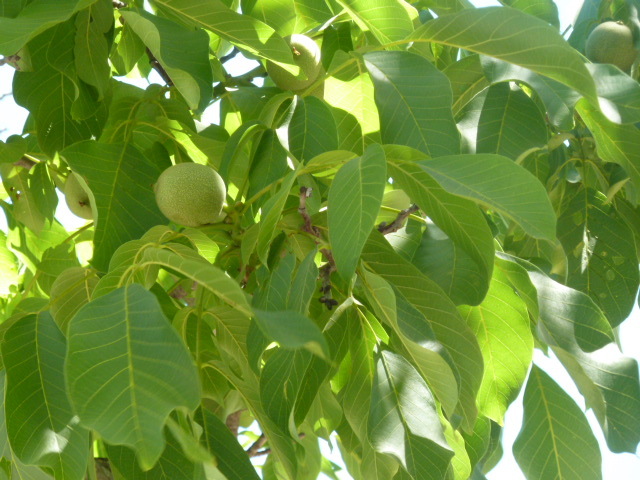 The ranch has 35 walnut trees that are harvested in the fall. 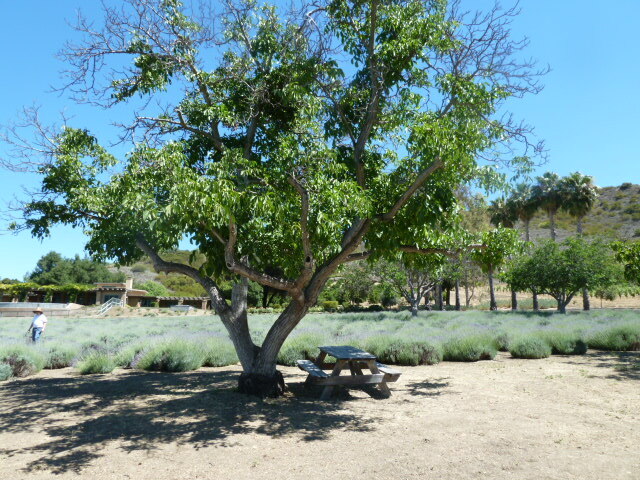 You’re welcome to bring a picnic lunch and savor your lunch on a walnut shaded table. 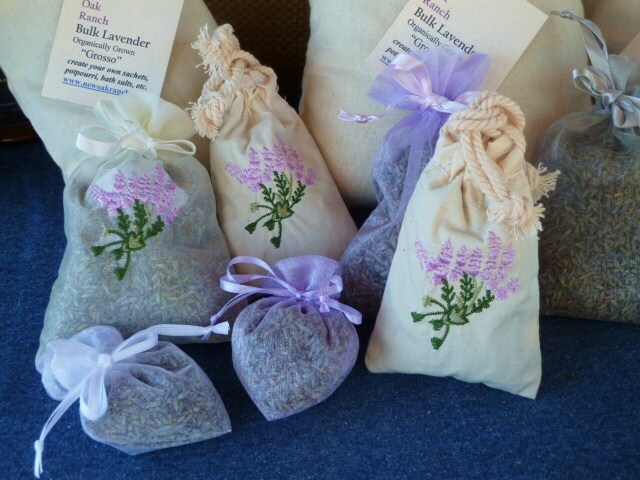 You can also purchase quite a few items made with their lavender. Everything from body care product to honey, and even a tomato jam! 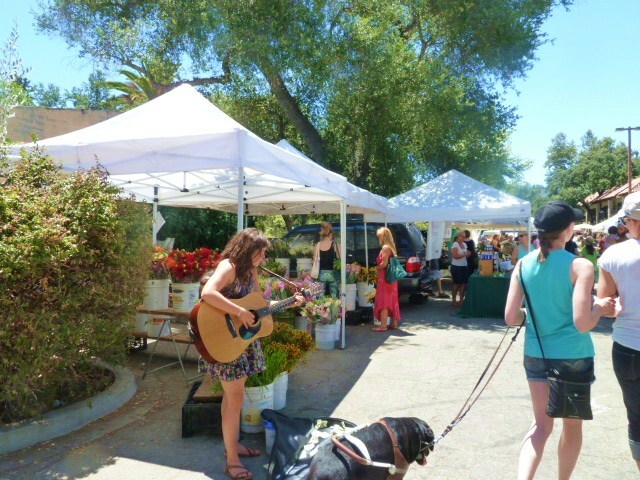 Next stop, downtown Ojai to visit the Farmers Market. 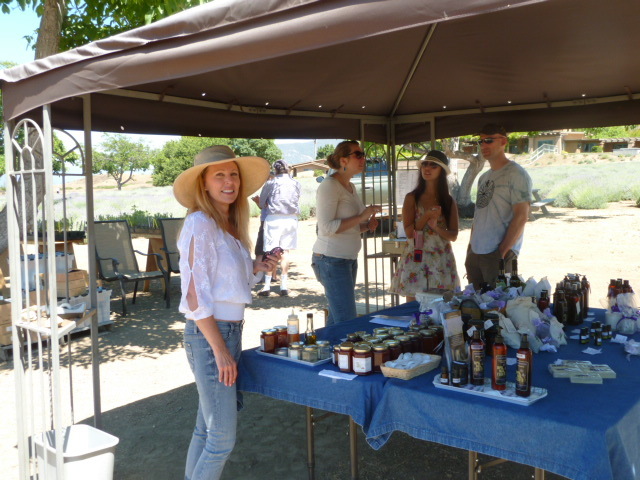 We bought lots of amazing items, like flavored goat cheese, lemon cookies, strawberry pie, fresh basil, pixie tangerines, olive oil. All the great looking fruits and veggies made me so hungry, I forgot to take pictures! 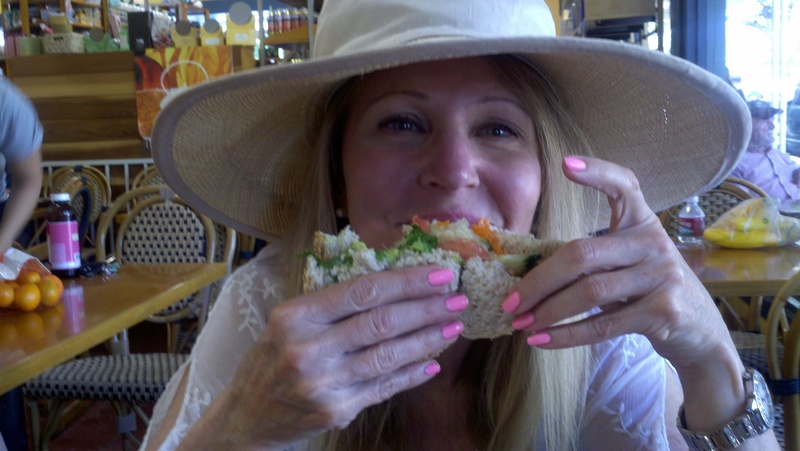 We decided to get something to eat at a quaint little health food store called the Rainbow Bridge Market. 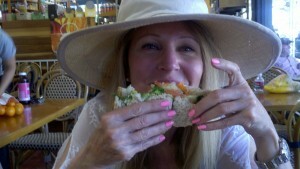 Me, pigging out on a de-lish avocado- veggie sandwich. I eat one whenever i’m in Ojai. I bought a organic olive oil while I was at the Farmers Market. They have a tour that will be in part 2 of day tripp’n in Ojai.